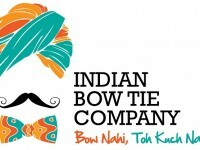 Indian Bow Tie Company is a conceptual Bow Tie brand that designs bowties to suit every occasion. Ankit Saboo is the brain child behind IBTC. This fashion savvy guy loves sporting bow ties with almost any attire. His love for bowties took him to various malls and boutiques across India. And when he was dissatisfied with the lack of variety available, he decided to start a brand completely dedicated to bow ties. No Refund, replacement against any manufacturing defect.